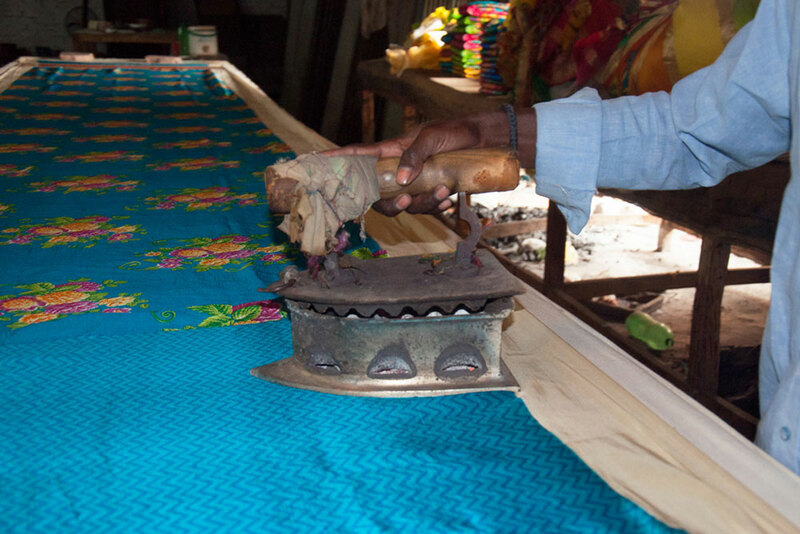 The measured cloth is cut in required size and shape. Cleaning the place while starting the work. Screen with exposed image ready to be print. 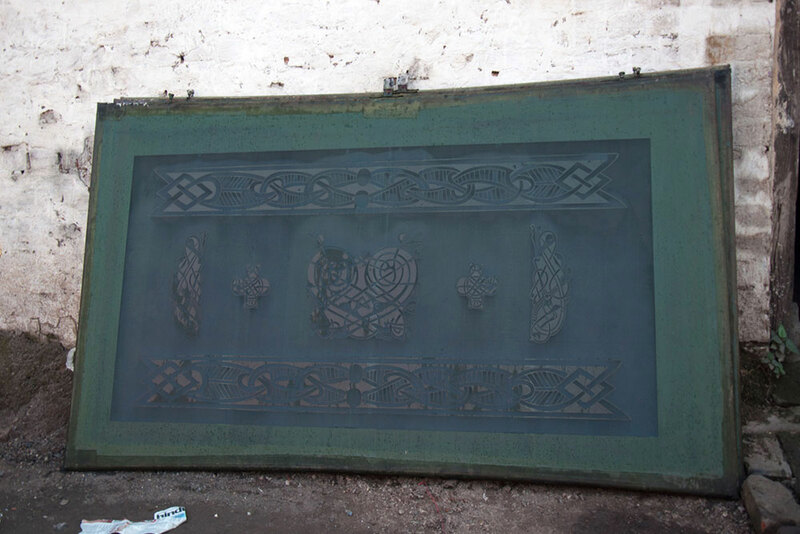 The measured cloth spread and fixed using sewing-pins on table for screen printing process. 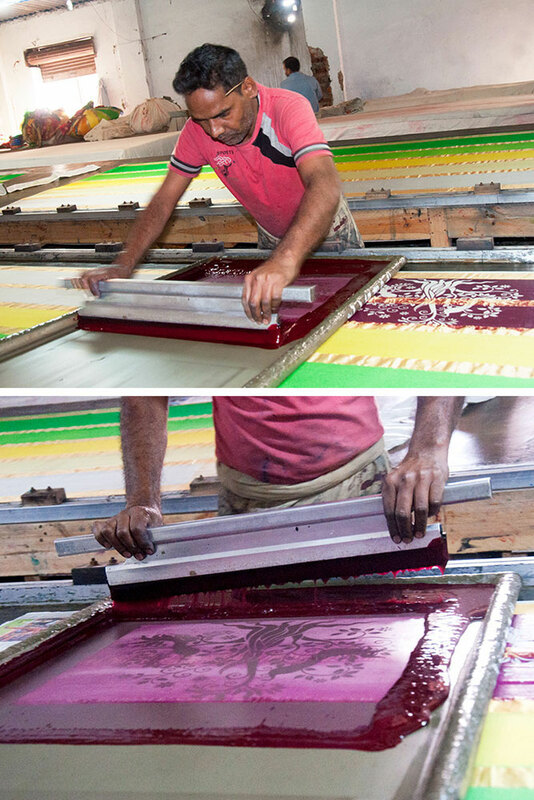 Ink is forced through the mesh (pores) using the rubber squeegee for entire piece of cloth (fabric). For more thickness artisan mixing colour with glue. 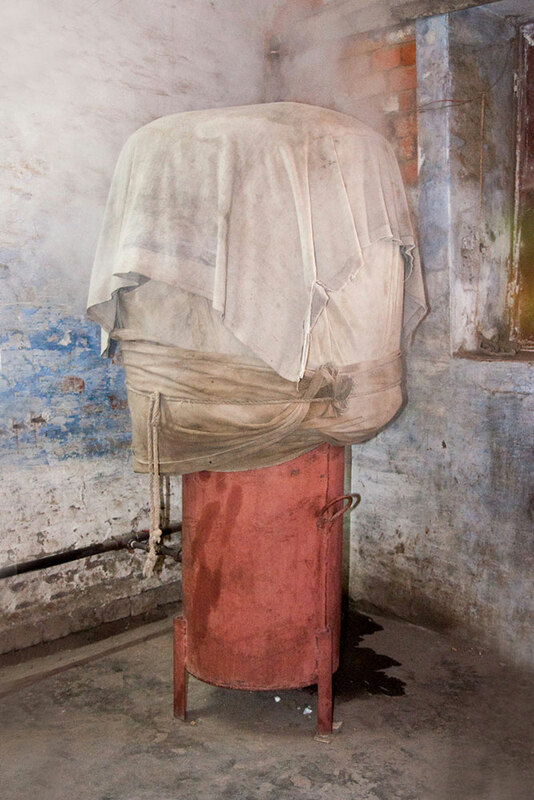 Steaming the dried fabric (folded & kept inside) forabout 50 minutes to attain the property of stiffness. 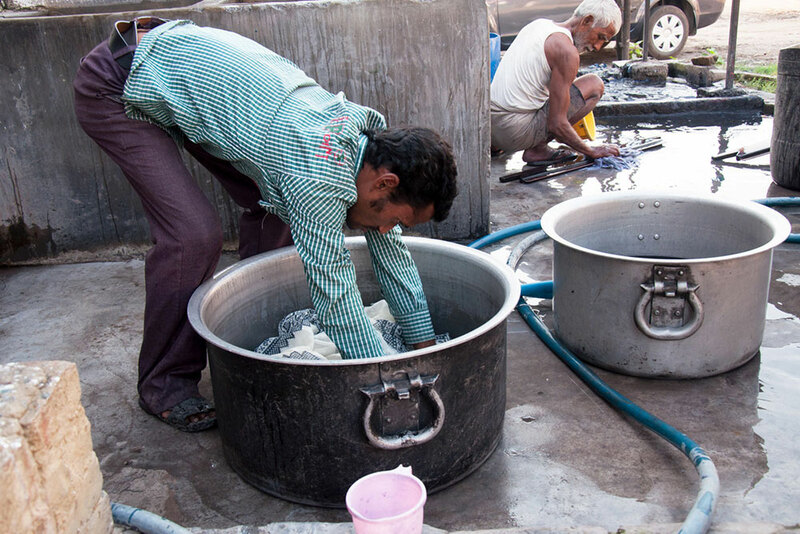 The fabric is dipped in cold water for about 2-3 times to attain certain properties of stiffness. 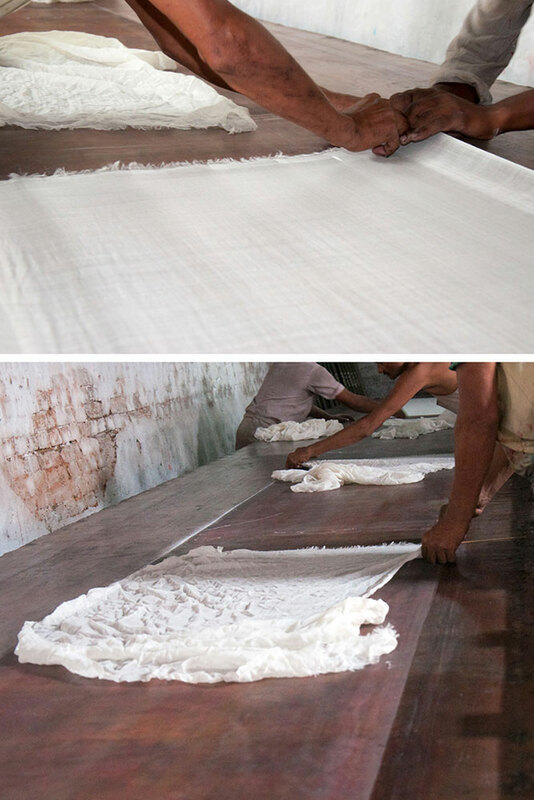 Fabric is dried using drying machine. Ironing is done to avoid wrinkles. Printing is carried on different kind of fabrics like silk, cotton, wool, nylon and so, producing materials for saree and other markets. Suits, stoles and other dress materials are printed with designs and sent to exporters. 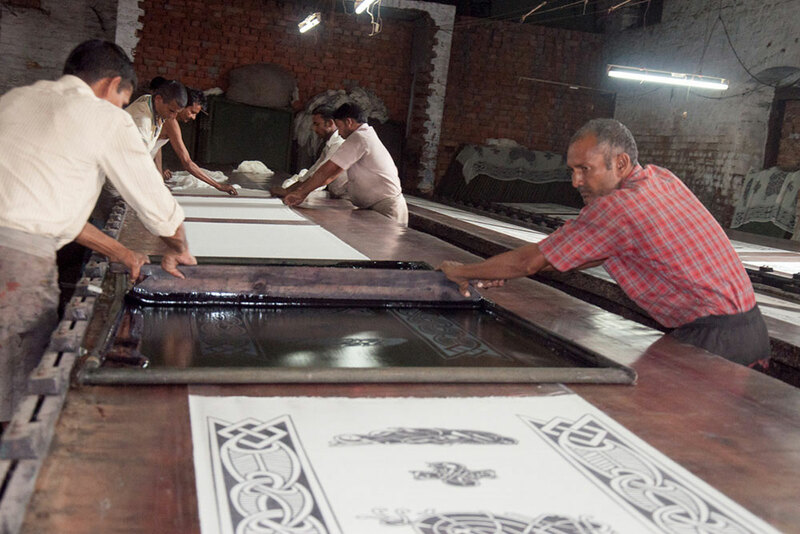 Like the process of block and hand printing, screen printing also is stamping of the ink onto the fabrics. There are more than thousand people connected directly or indirectly to the printing unit, from the initial creation of fabric, weavers, dyers, processing unit, finalizing section and dealers all connect to this printing unit. 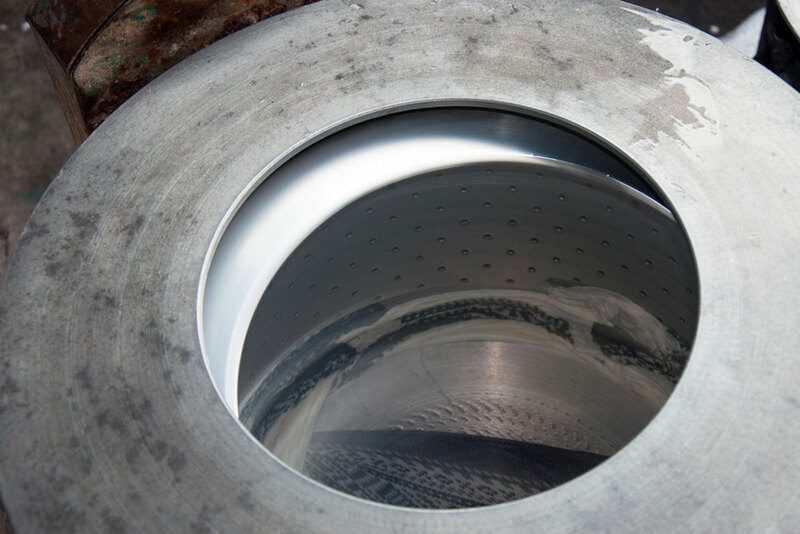 The raw fabric that the unit gets is sent to the dyeing section - RFD (ready for dyeing). 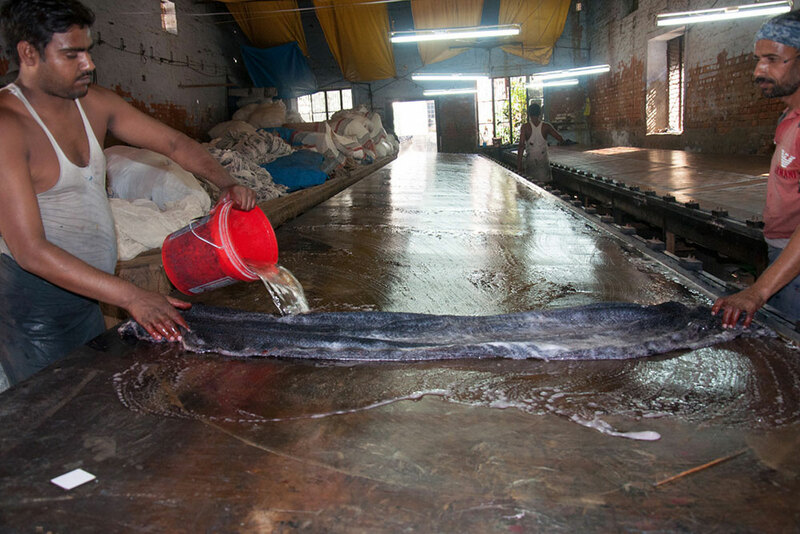 The fabric gets bleached, when dyeing is not required it is directly worked on the table and screen printed. 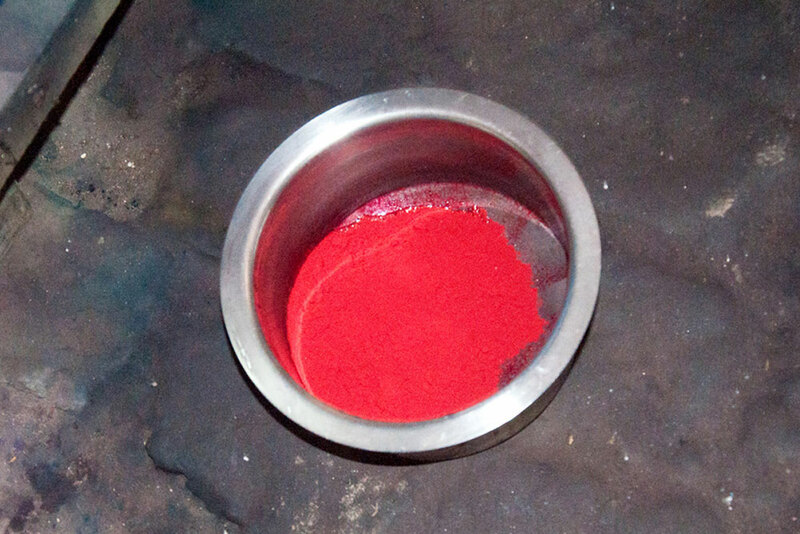 The colors that are used are acid colors, pigment colors and nonmetallic colors, depending on the kind of fabric preferred colors are decided. Once the printing is done it is left to dry and final stitches are completed and packed to send to exporters.